On check in to my $107 room I almost did a happy dance when I saw a fridge and what I needed to make a hot drink. 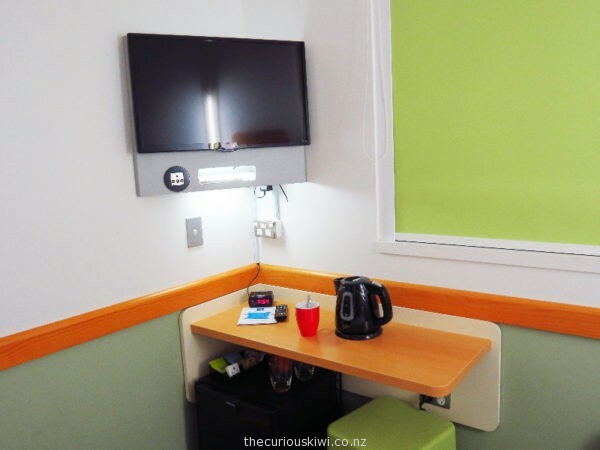 So if you’re after a cheap sleep and a cup of tea in a comfortable budget hotel that’s walking distance (or a $6 shuttle bus ride) to the airport check out ibis Budget. There is no onsite restaurant or bar at ibis Budget but I can recommend Szimpla Gastro Bar next door for a burger and a beer. A surprisingly busy Wednesday night saw my magazine and I head for the back of a people filled room. I could have easily been forgotten given I was perched at the end of a big and sociable table, but forgotten I wasn’t, and the good service was really appreciated by this lone diner. 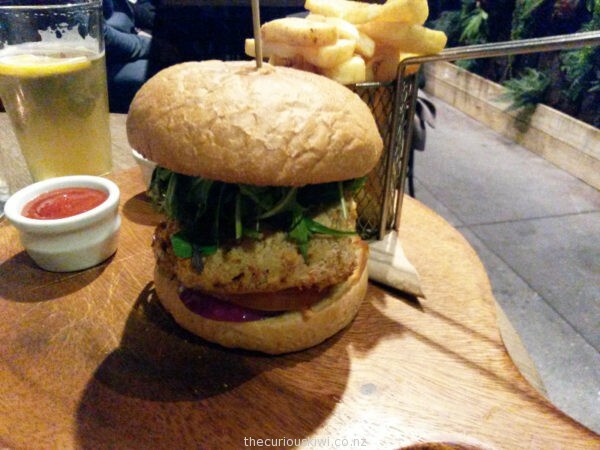 This entry was posted in Accor Hotels, Auckland, Travel Tips & Deals and tagged ibis Budget Hotel Auckland Airport by thecuriouskiwi. Bookmark the permalink.